The largest business-to-business event on the Treasure Coast will be held on Friday, May 15 at the Port St. Lucie Civic Center. This is the 7th year of the event and the theme is the BUSINESS of Healthcare. 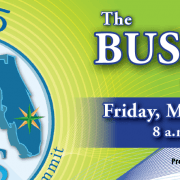 The Treasure Coast Business Summit (TCBS) was created in 2009 by a small group of business owners with the goal of creating a stimulus for the local economy. The idea was to bring business owners and managers together to share ways to make their companies more profitable, operate efficiently and grow their businesses in a challenging economy. The TCBS is designed to provide valuable educational information, professional resources, economic news and reports and professional motivation to keep business on track and moving forward. This unique combination of information will help business owners and entrepreneurs identify their inner strengths and provide the tools and resources necessary to implement positive change in their business. In addition to the comprehensive agenda of speakers, attendees will benefit from the relationships that will be forged through the networking opportunities and visiting the business-to-business vendors who participate in the event. This Summit is open to all business types and was created especially for small to mid-sized business owners / managers and entrepreneurs. The fundamentals of business and economic discussions will cross industry lines and prove to be extremely valuable for all in attendance. At the Treasure Coast Business Summit, regional business and community leaders will meet to discuss the issues, obstacles and trends facing entrepreneurs today. The agenda includes a panel discussion on the BUSINESS of Healthcare featuring leading healthcare professionals. It will include an economic update on the area and a session on leadership. In addition there will be over 140 business vendors and virtually every media outlet that serves this area. The TCBS is being held at the Port St. Lucie Civic Center on US1 and Walton road. The event will run from 8am-3pm. Guest speakers include: Mark Robitaille, President and Chief Executive Officer for Martin Memorial; Dawn Connelly, a founding member of the John Maxwell Leadership Team; S. Darrell Lee, M.D, founder of Lee Plastic Surgery & Laser Centers; John Rhodes, Senior Principal of Moran, Stahl & Boyer an economic development company, and more. This year’s title sponsor is Seacoast Bank . The event has been sold out the last three years. To get involved visit tcbizsummit.com. Basic vendor packages are available with one 8 foot display table, 2 chairs, 2 admission tickets to the event and your company name will be listed in the program. The cost for the General Vendor Package is only $100. If electricity is needed, there will be an additional $35 charge. A cocktail reception, sponsored by PGA will follow from 3-5pm. It is a great networking opportunity for anyone participating in the Summit. 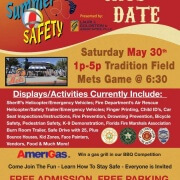 The Summer of Safety event will be held on May 30 at Tradition Field (home of the Mets), in Port St. Lucie. The event will feature all things Safety related: driver safety, boating safety, swimming safety, bike safety, pet safety, child safety, hurricane safety, gun safety, etc. The Law Offices of Lauri Goldstein is the title sponsor for this event that features all things safety related. The event will include displays by the St. Lucie County Sheriff’s Office, St. Lucie County Fire Department, Port St. Lucie Police Department, St. Lucie Mets, US Coast Guard (invited), Blood Mobile, City of Port St. Lucie, St. Lucie Safety Coalition and many others. There will be a kid’s zone, BBQ competition sponsored by Amerigas, arts/crafts, food/drink, up to 140 vendors and more. The event is expected to attract 4-5,000 attendees. Set up for the event will be 6am-12noon. The Summer of Safety event will be open 1-5pm. It will be followed by a St. Lucie Mets baseball game. The Mets will provide tickets to the first 1000 attendees as well as any teen driver who signs a pledge Not-to-Text and Drive. A portion of the proceeds will benefit The Boys & Girls Clubs of St. Lucie County, We Leap (Domestic Violence Awareness) and local Veterans. There is no cost for admission or parking. Sheriff’s Helicopter/Emergency Vehicles; Fire Department’s Air Rescue; Helicopter/Safety Trailer/Emergency Vehicles; Finger Printing, Child ID’s, Car Seat inspections/instructions, Fire Prevention, Drowning Prevention, Bicycle Safety, Pedestrian Safety, K-9 Demonstration, Florida Fire Marshals Association Burn Room Trailer, Safe Drive with 25, + Bounce Houses, Kid Zones, Face Painters, Vendors, Food & Much More! Visit SummerSafetyEvent.com for more information or go to the Summer of Safety Facebook Page for the latest news. Port St. Lucie, Fla- DLF Media, one of the longest operating Advertising/Marketing companies on the Treasure Coast has moved. 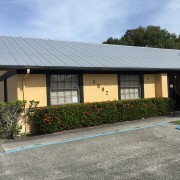 The new offices are located at 1597 SE Port St. Lucie Blvd., Port St. Lucie. DLF Media is a full service advertising/marketing company based in Port St. Lucie. The agency has represented a variety of clients throughout South Florida since 1994, including many political candidates. For additional information, please contact DLF Media at (772) 337-0049. 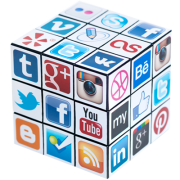 Port St. Lucie, Fla- DLF Media has opened a social marketing department to compliment traditional and online media campaigns for clients. We now offer Facebook, twitter and Youtube options that are tied to a client’s website. This will allow clients to have more contact with current and future customers. Advertising and marketing are more involved today than in the past. TV, radio, newspaper, outdoor, direct mail, online, mobile and social platforms all need to be incorporated to maximize exposure. Lisa Alves will manage the social platforms and work directly with our creative services director. Ms. Alves has been with DLF Media for 12 years. She is an experienced media buyer who has developed strong relationships with the local media. The social platforms are an extension of her current duties. DLF Media is a full service advertising/marketing company based in Port St. Lucie. The agency represents a variety of clients throughout South Florida, including numerous political candidates. DLF Media Consultants is a full service advertising and marketing agency based out of South Florida. Address: 1597 S.E. Port St. Lucie Blvd.